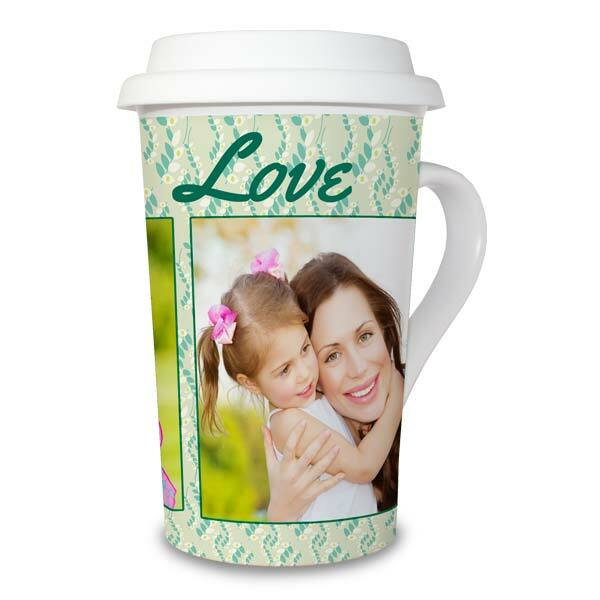 Perfect for a unique gift or a fun start to your day, our latte mugs can be fully customized with your treasured photos. 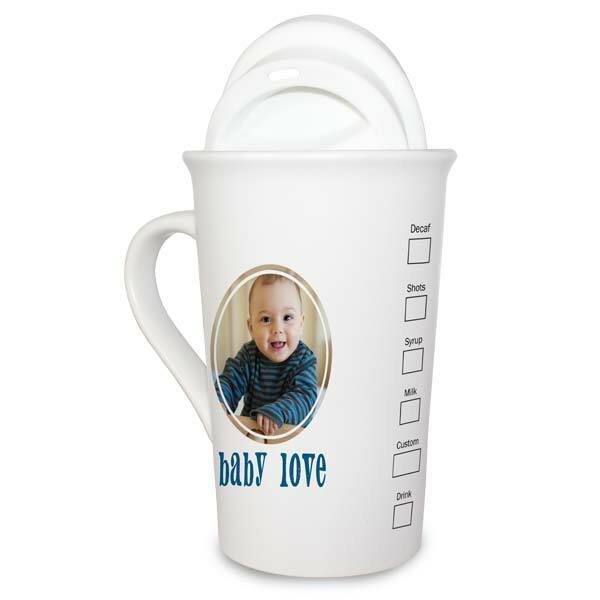 Whether you prefer coffee or tea, our latte mug can be designed to fit your personality. They boast a quality matte finish and include a silicone lid to help prevent spills and help protect your sensitive lips from burns. Just like our photo commuter mugs, they’re ideal for use at home, in the car, or at the office!